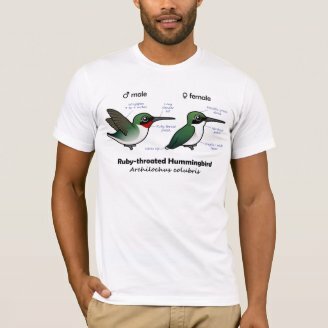 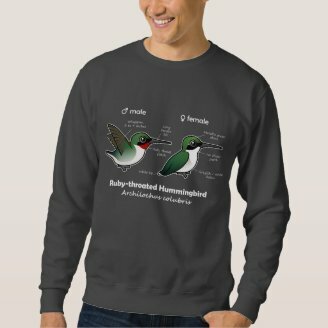 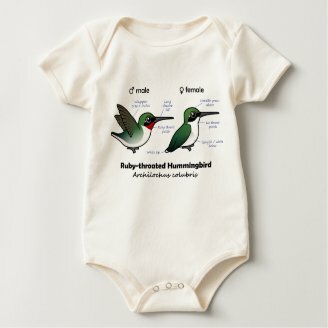 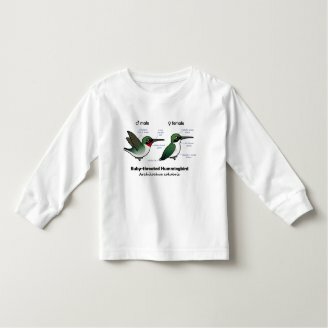 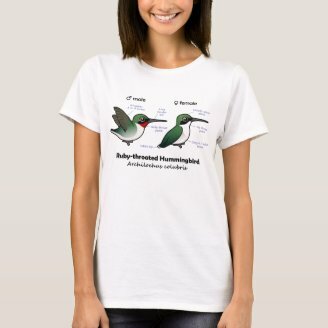 This week's featured t-shirt design is our renewed Birdorable Ruby-throated Hummingbird. 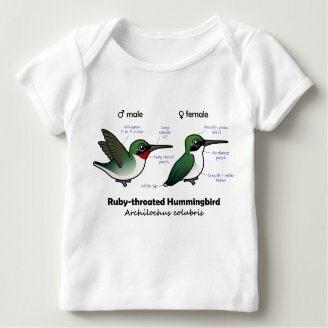 Males have a bright, glossy red throat patch while females are duller but just as cute. 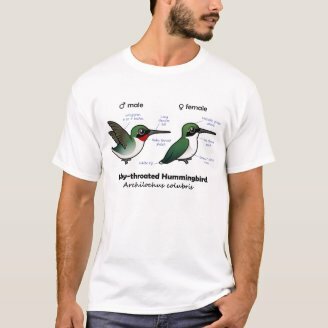 Hummingbirds feed from flowers by hovering mid-air and sipping nectar out using their long narrow beaks and tongues. 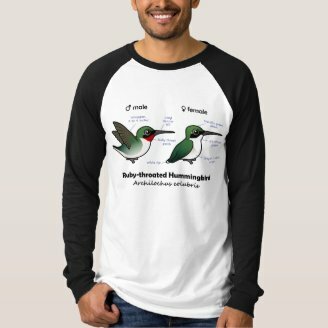 This is our cute Birdorable version of the Ruby-throated Hummingbird, shown here on a ladies casual scoop shirt and men's basic t-shirt.